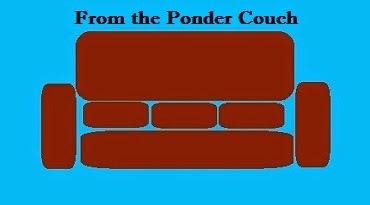 From the Ponder Couch: Making way for the Christmas Season! This post is a few things I didn't post during the Halloween/Thanksgiving seasons. Since I hope to post some Chirstmas stuff before the Christmas season is over I am cleaning out my mind folders and putting up the rest of the stuff I meant to put up before. Here's a song I wrote about "It's the Great Pumpkin Charlie Brown". Then I made a video, trying all 5 Monster Cereals in one bowl! 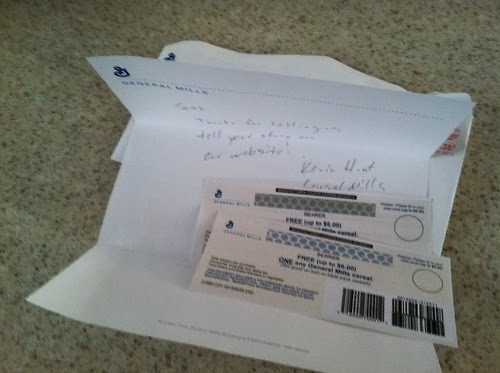 They also sent me some coupons for free General Mills cereal! And now I can move on to Christmas!